Getting married in your later 50’s can be a wonderful thing. There are a few things to take into consideration as far as Long Term Care Health Care and other financial challenges. When you become legally married there are a few different issues that you should discuss prior. Long Term Care is considered the number one concern for adults over the age of 50. At some point 1 out of 10 people over the age of 55 will need some type of Long Term Care services. They will need help with daily activities like getting ready or making food. A lot of people think that they will not need help with this type of care but it’s best to plan ahead for the future. Especially if there was a prior marriage before with children involved. In many states the spouse is responsible for paying for each other’s Long Term Care costs or medical costs. So if you are deciding to get married consider purchasing Long Term Care Insurance. If you do not have a policy already. You will be able to still protect each person’s assets and reduce the financial burden on each others families. 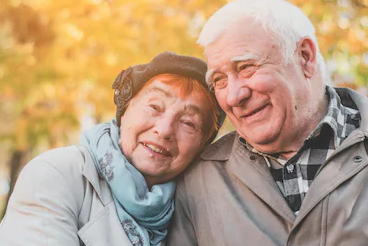 According to the Journal of Marriage and Family the number of adults over the age of 50 who were living together but not married doubled in the last 10 years. Financial planners say that older adults are worried about higher health costs, fear of using up their retirement benefits, raising their taxes and disrupting any estate plans. So many couples are not choosing to get married not because of commitment issues but because of financial changes and costs.